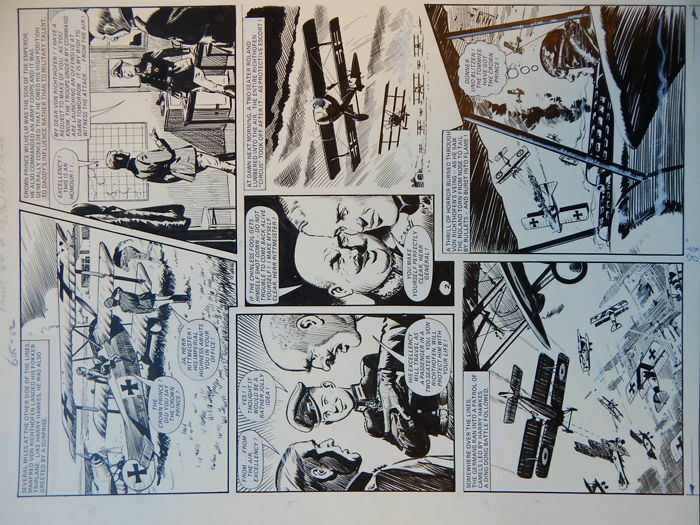 Formaat (per pagina): 37 x 47 cm. 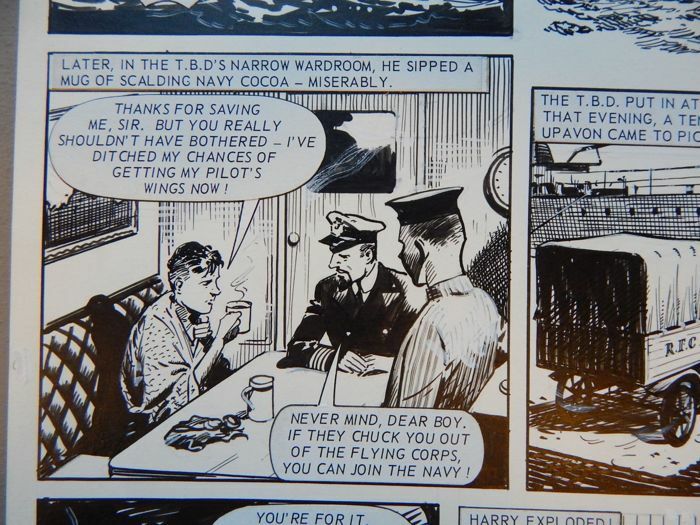 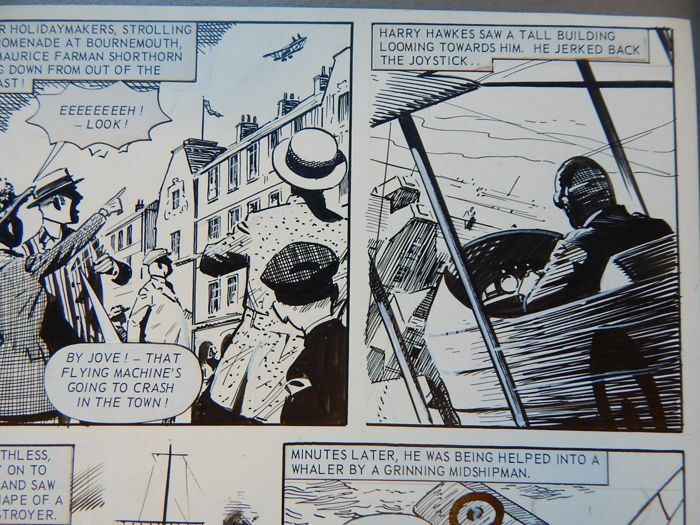 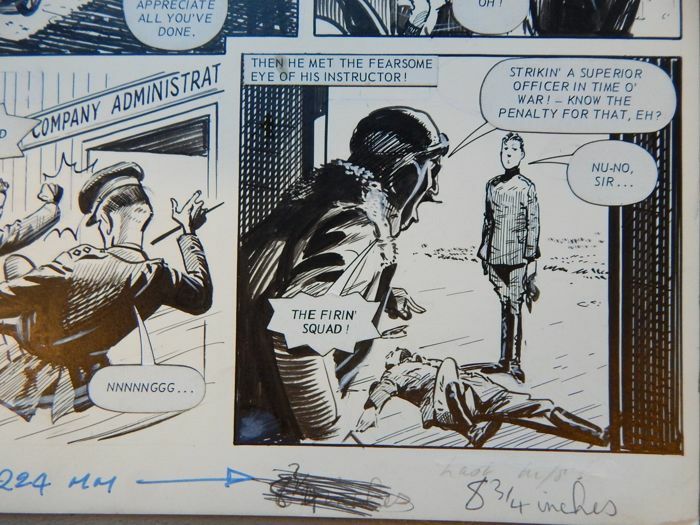 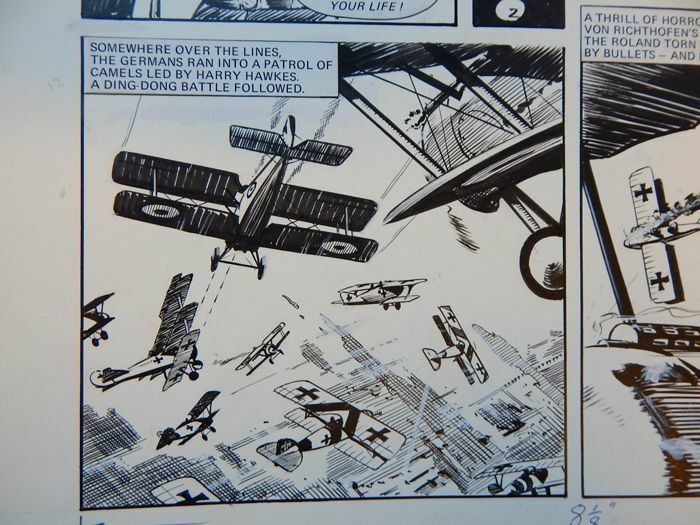 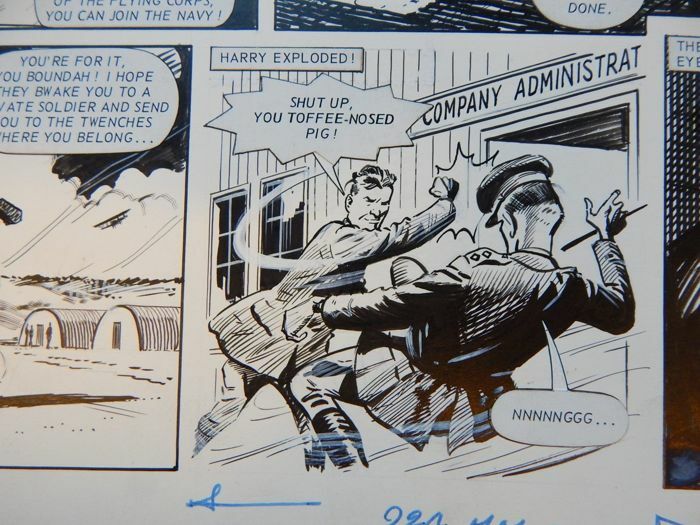 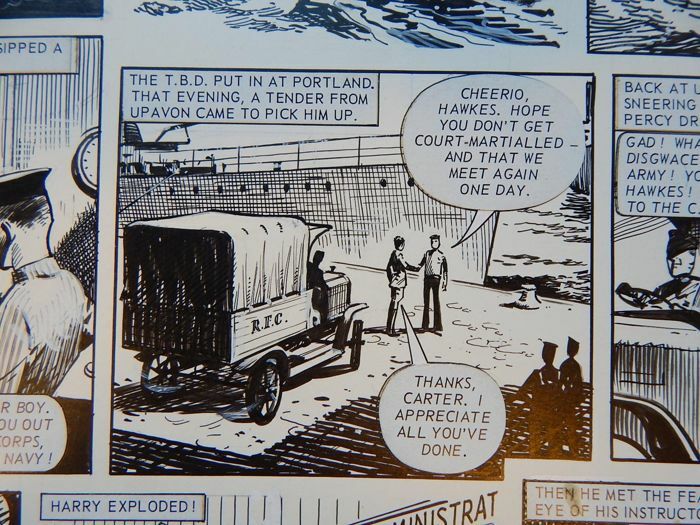 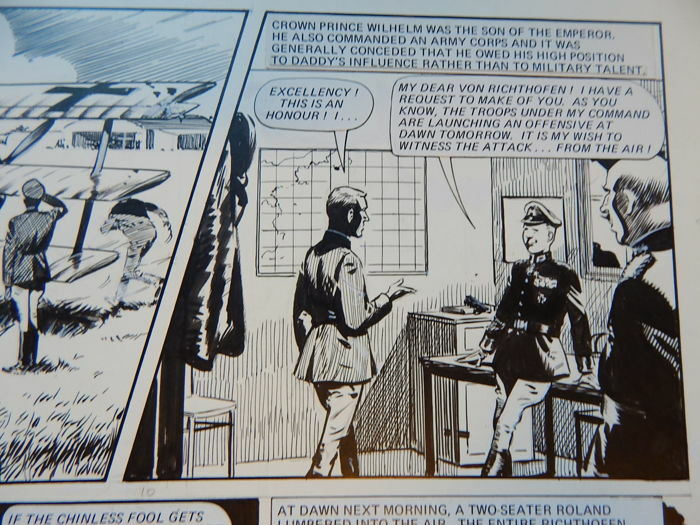 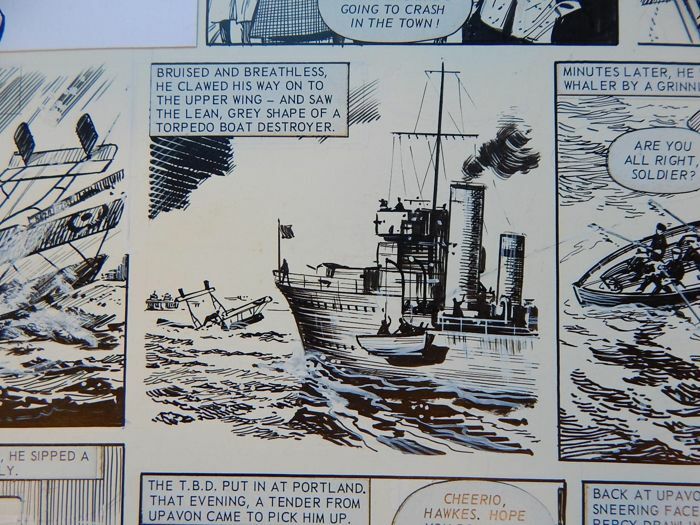 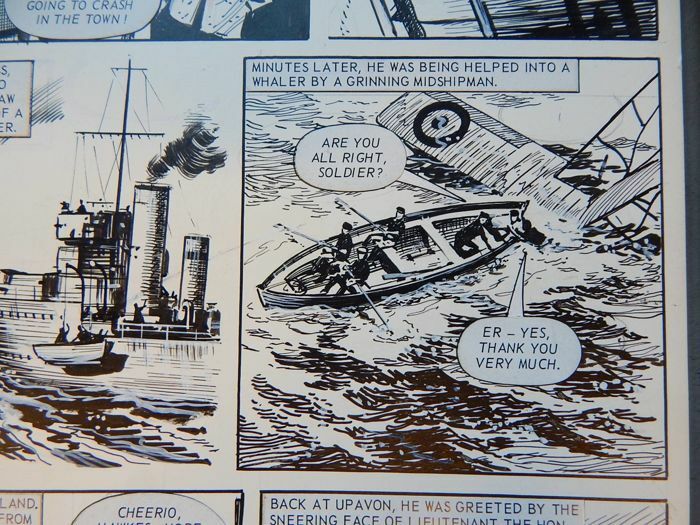 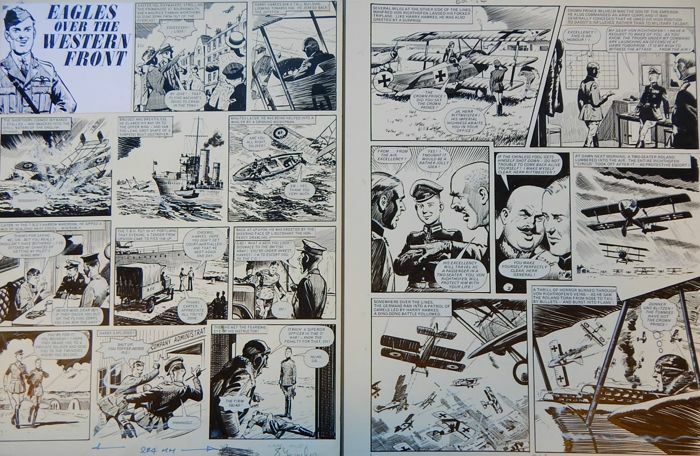 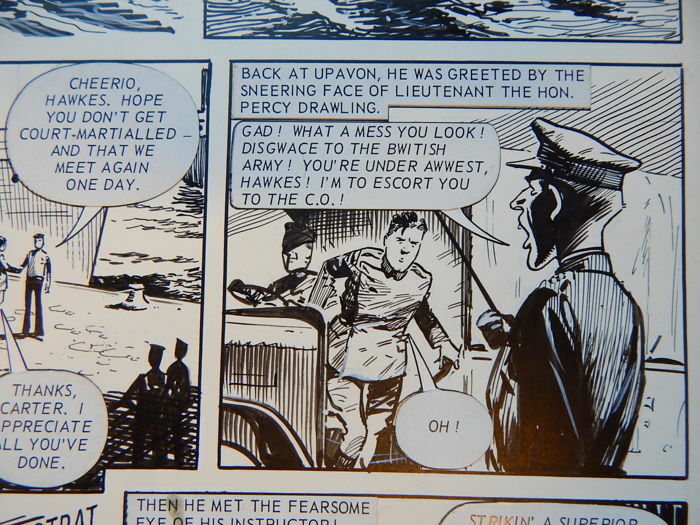 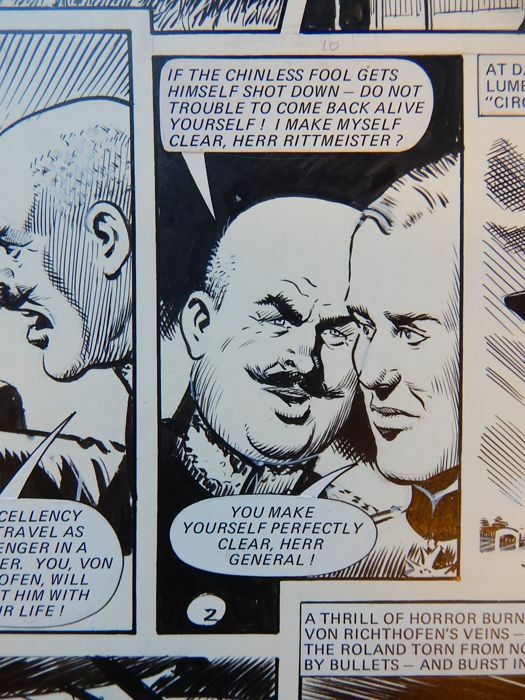 Two original pages from “Eagles over the Western Front”, a British comic set during the first world war. 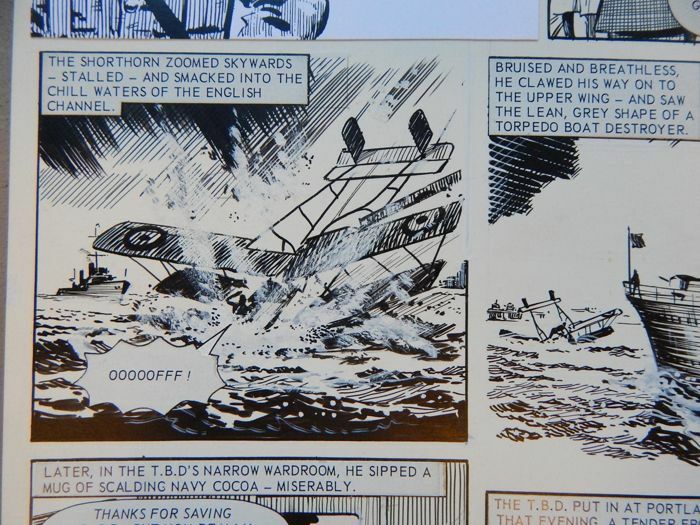 Illustrated by Bill Lacey in 1973. 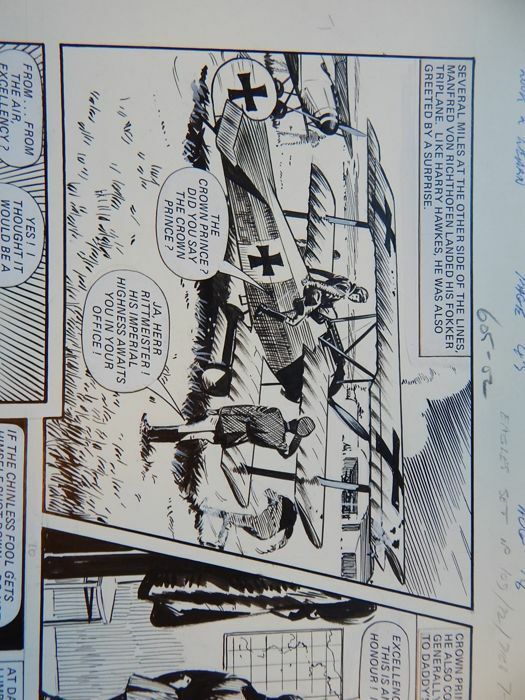 This series is about German Fokkers (airplane) fighting the Royal Flying Corps. 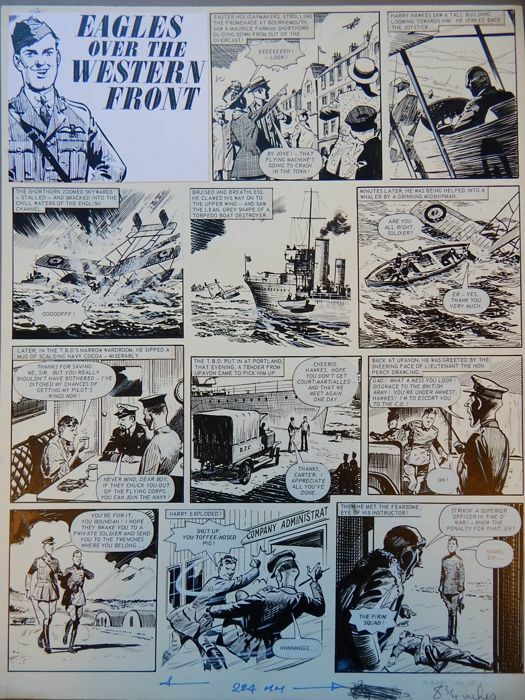 Beautiful artwork that appeared in the magazine “Lion”. 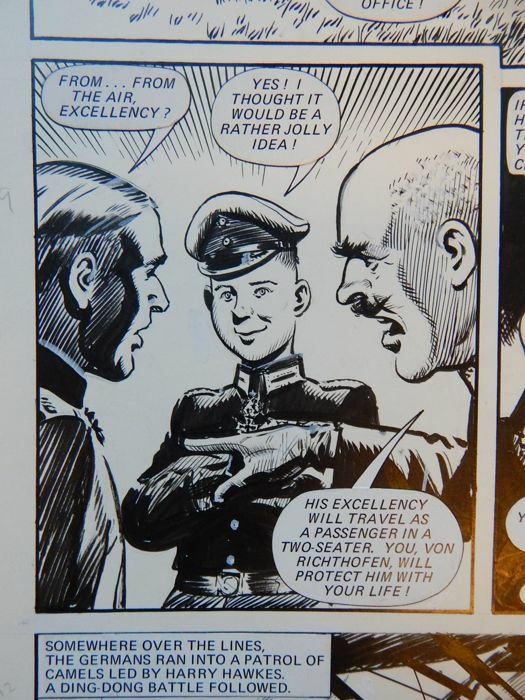 Dimensions: 37 x 47 cm. 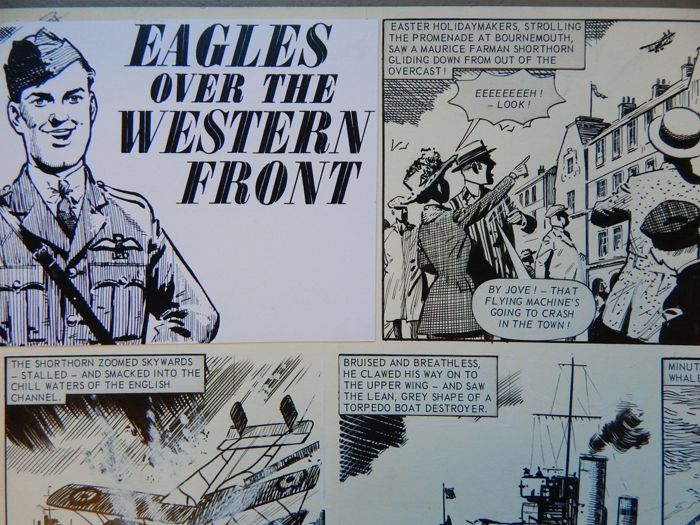 Two original pages of “Eagles over the Western Front”, a British comic set during the first world war. 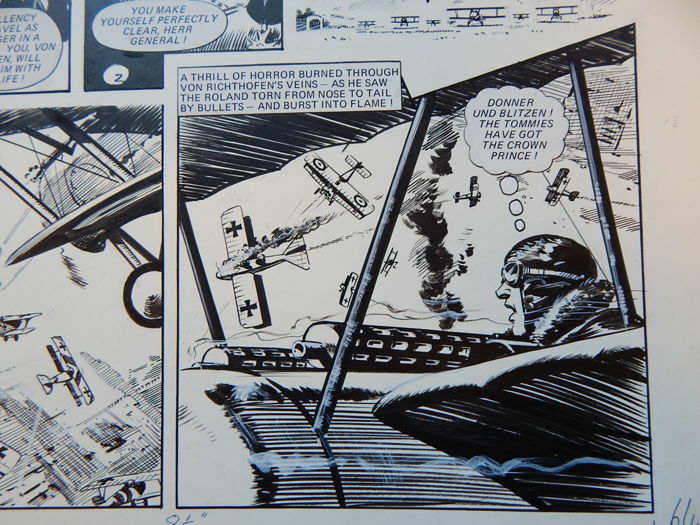 Drawn by Bill Lacey in 1973. 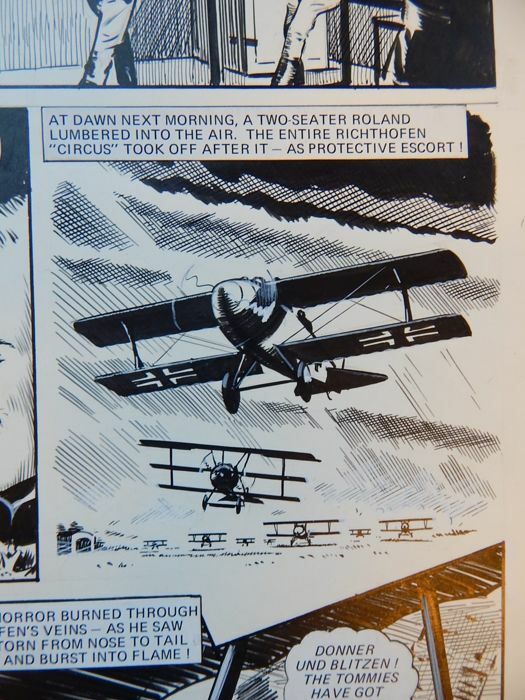 This series is about German Fokkers (airplanes) fighting with the Royal Flying Corps. 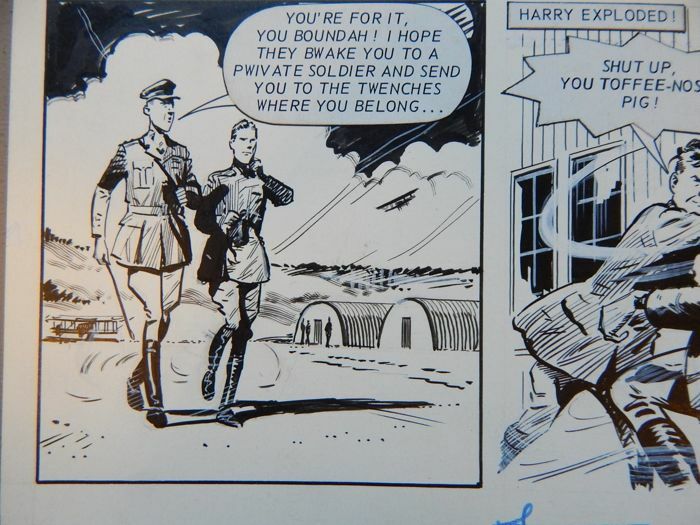 Beautiful artwork that appeared in the magazine “Lion”. 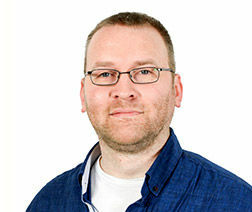 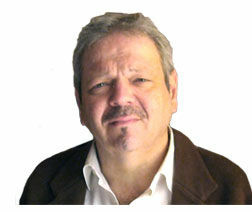 Kijk goed naar de foto's, zij maken deel uit van de beschrijving van dit object.